The Eurovision version of the Slovenian song for the 2019 contest has been released. 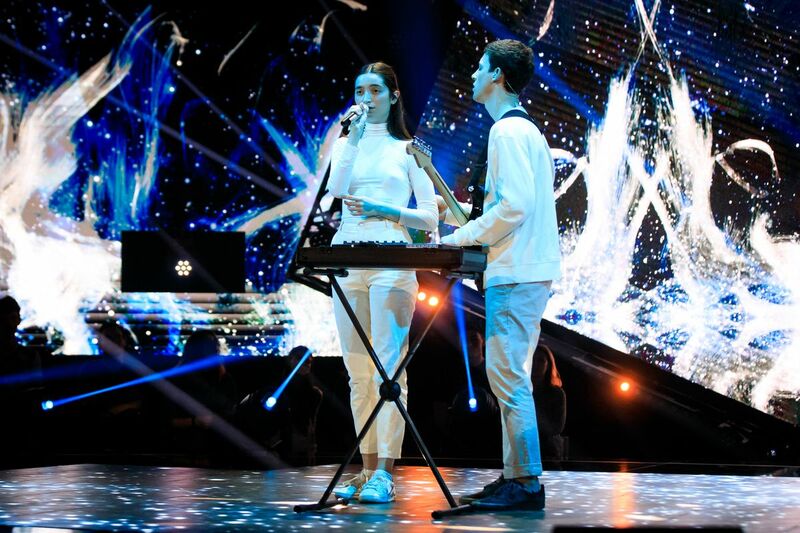 The duo will represent Slovenia in Semi Final 1 of the Eurovision Song Contest 2019 in Tel Aviv after winning the Slovenian selection show, EMA, in February. “Dare To Dream” refers to the slogan for the 2019 contest. The original version of the song came in at 3:18 and therefore needed to be edited for the competition. We came to EMA to perform for someone else who may not be listening to the radio or maybe have not even caught us on the Internet. Now it turned out that some people have been touched this song, which was our goal. Who Are Zala Kralj and Gasper Santl? Zala Kralj and Gašper Šantl have been performing together since 2017. Before performing together they had both tried to be solo artists, and met after a Zala began providing the vocals for some of Gašper’s songs. They released their first EP Štiri on the day of EMA 2019. In 2018 they released a total of three singles before they decided to apply to EMA. They will perform “Sebi” in Tel Aviv, the song was written by Zala Kralj and Gašper Šantl. Cyprus, Betting Odds, Eurovision 2019Betting Odds: Cyprus Falls To Lowest Position Since Reveal of "Replay"